The Macclesfield Castle Rotary Club has been involved in supporting Lendwithcare for the past two years.In that time the club has made 30 loans to 75 entrepreneurs in the developing world; by doing so we have helped create 119 new jobs and supported 240 family members. The aims of Lendwithcare are to provide loans to people who want to work their way out of poverty by starting a small business.The entrepreneurs are screened to ensure that the loans are for productive purposes.There is an expectation that loans to support farming support ethical land management. SME’s that often are a small group of people working together to raise themselves out of poverty. 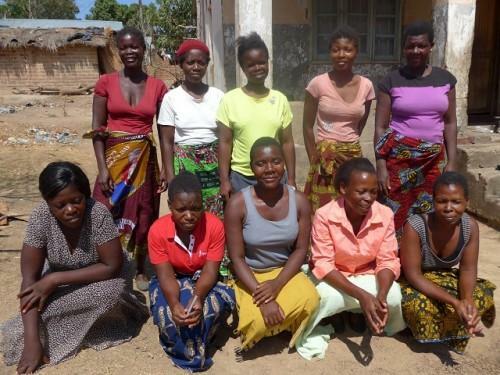 For example the Tikumane group from Malawi who run a series of small shops within their community; Venantie Niyitegeha who with her husband runs a small store employing six others. People from marginalized communities such as the disabled and transgender groups. Those committed to positive social and environmental change through sustainable farming projects; local artisan developments and small community businesses.For example Quach van Cank in Vietnam who is seeking to extend his pig farming business to help feed his young family; Sajid Ali who runs a small local store for his village in Lahore. Lendwithcare is a modern concept working with International Microfinance in eleven different countries. Lendwithcare began six years ago with just 20-30 lenders.In 2016 the charity lent over £12m and helped create 50,000 jobs.The idea sprang from the American Care International programme following the second world war when American business men and women helped established entrepreneurs across Europe. At Macclesfield Castle we are pleased to have been able to incorporate the existing loans from Macclesfield Rotary Club that ceased operating in 2016.Through our fund raising efforts we replenish our loan portfolio each year. When this is combined with the reinvestment of our loan repayments we are able to maintain our support throughout the year.To date we have loaned £2628 and donated £192 to Care International through this programme.